As we’re transitioning into fall, I’m looking back on the last few major summer events in the city. 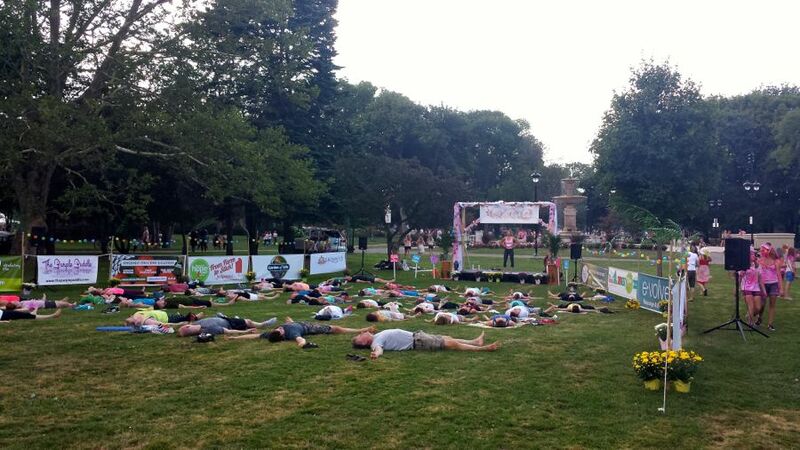 We’re really lucky to have so many events that are unique to Hamilton – I always know my summer won’t be complete without A Midsummer’s Dream in Gage Park. 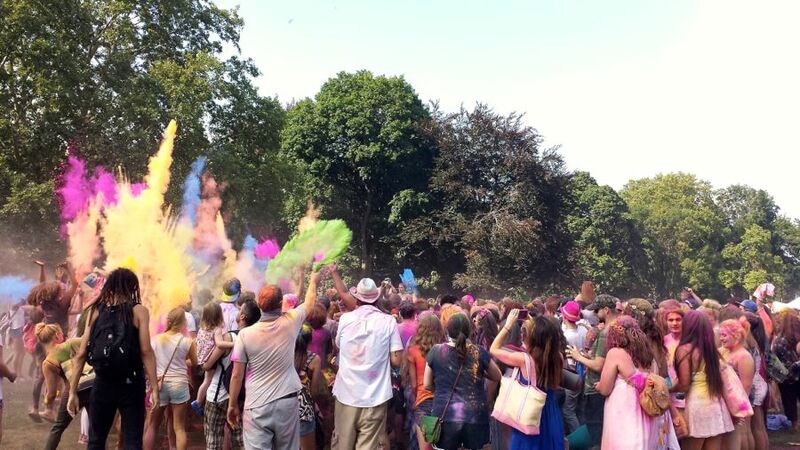 This was the 4th annual colour festival and food-raiser, and I’m very proud to have been there since its inception. Organizer Mark Gowland started A Midsummer’s Dream in August 2012. It’s inspired by the ancient Hindu festival Holi, which celebrates the triumph of good over evil and the renewal of spring. 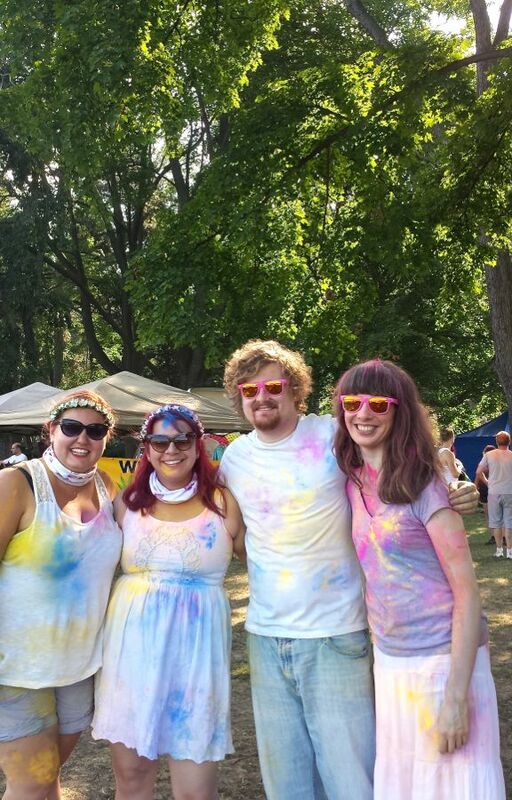 It’s a peace festival, there’s local vendors and food, eclectic live music, and of course, the colour throws! Another important aspect of the festival is the food drive. Admission is free, but you are asked to bring a canned good. This year, 2,400lbs of food was raised for Living Rock. 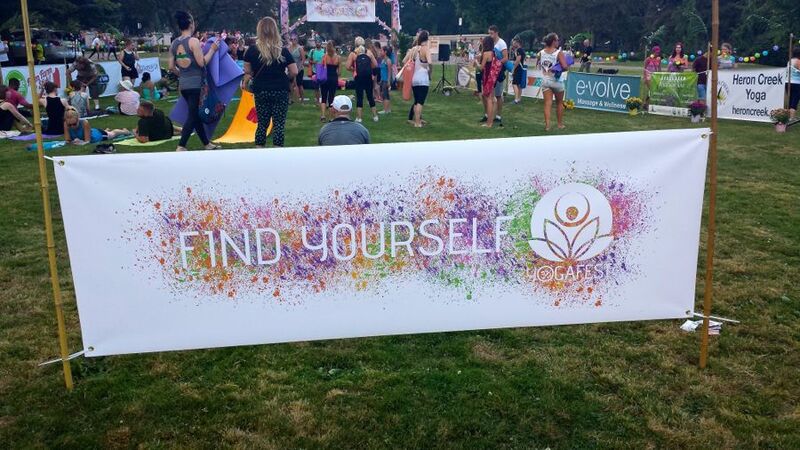 Over the years, the festival has expanded to include new elements such as an arts and crafts “Temple of Creativity” and new this year was the addition of YogaFest. The energy in Gage Park was high in the main area by the bandshell, but when you ventured further into the trees near the landmark fountain, there was a whole different vibe altogether. YogaFest saw many different local yoga instructors hosting free sessions throughout the day. The Hamilton Aerial Group shared their impressive talents, and there were more local vendors. I say it every year, but A Midsummer’s Dream is simply something that must be experienced in order to really get. There’s such a magical quality about the day. 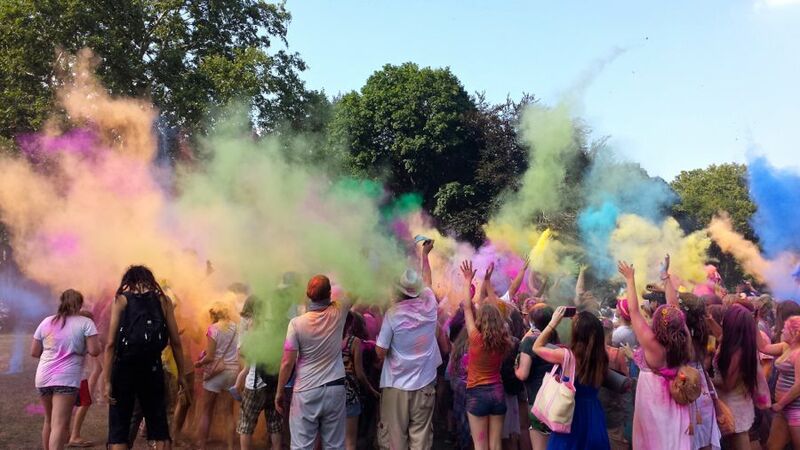 Photos and videos can never do justice to what it feels like to be among friends and strangers alike as you gather in a group and throw those coloured powders into the air. Watching the park turn into a rainbow, the dust settles and everyone disperses, only to gather again when we get the cue from the MC onstage to do it again. 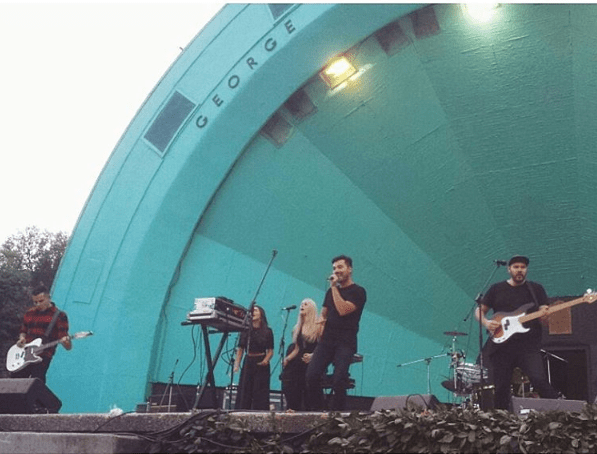 Gage Park is also the perfect setting because of that iconic bandshell stage. There is always an impressive lineup of local acts throughout the day, but this year, MSD kicked things up a notch with headliners Young Empires. Having missed them earlier this summer at the Burlington Sound of Music Festival, my jaw dropped when I saw the announcement they would be performing. I can’t tell you how many times I’ve listened to their anthemic lead single “The Gates,” off their latest album by the same name. (I got to chat with Jacob Palahnuk of the band the day before on 93.3 CFMU about the record). The sun was setting as Young Empires took the stage and their set is, hands down, one of my summer highlights. Every song on The Gates is grand, anthemic, and just hits right to my core. Every lyric by Matthew Vlahovich rang out into Gage Park, echoing to the back of the greenhouse. Hearing Matthew sing out with all his might: “Now I’m standing at the gates / And I just can’t escape / Heaven is a place that I can’t find” gave me chills. All of us, gathered at the foot of the bandshell, covered in colour, must have looked like quite the sight to the band. Matthew joked that it was a trippy experience! A Midsummer’s Dream ended on such a high with Young Empires’ set. It was perfect. Don’t miss this experience next year. It’s never too early to get excited for the next one – mark down August 20, 2016!